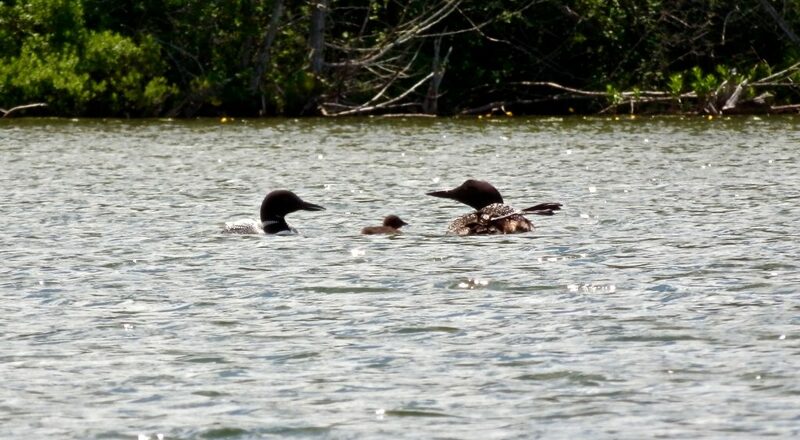 Let’s give a welcome to Duck Lake’s newest resident, Baby Loon! This photo was taken by our good friend on the peninsula, Jane Shoup. We have both seen Momma Loon on the nest, but Jane was fortunate enough to catch a shot of the new family. Thanks for sharing, Jane. I’m doing this post while on the road with my tablet, so bear with me if the formattingmisnt quite right. This entry was posted in Northwest Michigan and tagged Loons. Polly said she spotted the new one from a distance. I will share w her!